Congratulations to Ben (NSW), David (Vic), Richard (NZ), Beckie (SA) and Bradley (QLD). 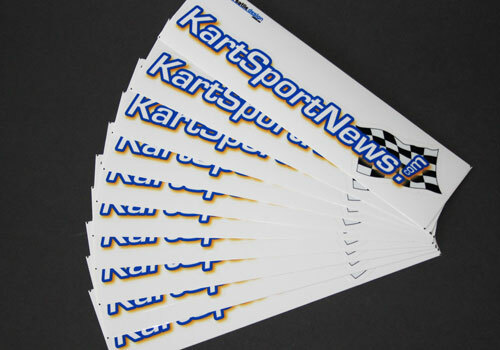 They all won the free sticker packs for subscribing to KartSportNews! For anyone into karting who hasn’t already done so, sign up now to the KartSportNews website! It’s free, you can unsubscribe at any time and you’ll get karting news delivered direct to your inbox – plus other exclusive content and offers. Go to KartSportNews, navigate to the signup form in the Sidebar and fill it out today.